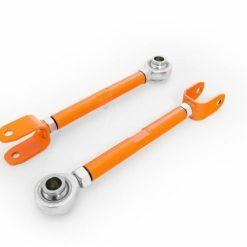 Steel adjustable front camber arms for Nissan 350Z. 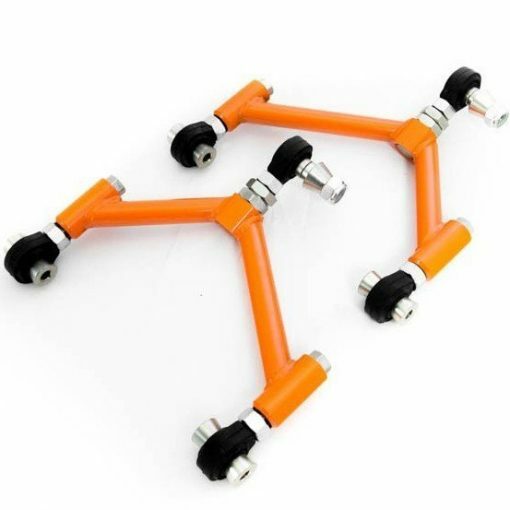 These allow camber adjustment for fine tuning grip and wheel fitment. They also increase inner arch clearance compared to a stock arm, allowing you to have the car lower before the arm hits the chassis.